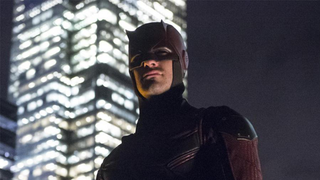 Good news, fans of the first Defender — Matt Murdock will be returning to Netflix for another season of crime fighting in and out of his red suit! But he won’t be bringing showrunner Steven DeKnight with him. As mentioned above, DeKnight will be replaced with Doug Petrie and Marco Ramirez, Producers on the first season of the show, as joint Showrunners. Given the reaction from the public and critics alike, it’s unsurprising to see there’s more Daredevil planned, but it’s nice to know that it’s definitely happening. Can it be 2016 now?